The National Student Survey (NSS), led by Ipsos MORI and commissioned by the Higher Education Funding Council for England (HEFCE), is a national initiative which has been has been conducted annually since 2005. The survey runs across all publicly funded Higher Education Institutions (HEIs) in England, Wales, Northern Ireland, and Scotland, as well as other providers of higher education. The survey is mainly aimed at final-year undergraduate students, who are asked, through 23 core questions, to provide honest feedback about their course and learning experience. The latest NSS results show continuing high levels of satisfaction amongst London South Bank University’s (LSBU)’s Law students. With 92 per cent student rating, we have the second highest scores in London for Overall Satisfaction with our LLB course – including scores of 98% for the effectiveness of the teaching and 97% for our IT Resources. This puts LSBU’s law school in the top rank when compared to all universities in London, with only Greenwich above, and has also contributed to rise of the University’s ranking in the Guardian University League Tables 2017. We are only 2 percentage points behind Oxford for Teaching Quality (as judged by students in NSS) and ahead of 95 others - including 10 out of 11 London Universities. LSBU is also judged by students to add more 'value' to our students than 95 other university law schools. This method of feedback gives students a powerful collective voice to help shape the future of their course and their university or college. The NSS data and results play an important role in helping students to make an informed decision about the quality of the course they wish to study and the suitability of the institution. The survey also provides information as part of the quality assurance system and contributes to the public accountability of Higher Education. “We are intensely pleased with these results and proud of our students who continue to engage with the course so enthusiastically. 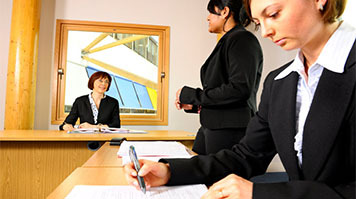 Learn more about LSBU's School of Law.